[huge_it_share]In Life Coaching, “peak experiences” are often described as the best moments of one’s life, moments of pure joy and elation, moments that stand out from everyday events. The memory of these events is lasting and people often liken them to a spiritual experience. Through Life Coaching, we can begin to understand how these moments are connected to our values at a core level. Here is an example of a Peak Experience that helped one of my clients connect to her values. “Marty” (name changed to protect client confidentiality) remembered vividly a basketball game she played in as a Junior in High School. She was a star player in that game. Now in her late 60s, Marty’s description of the gymnasium, the crowd, the players, the sights, smells and feelings associated with the game itself transported us both to that time and place. It was a story rich with texture and emotions. From her many life experiences, Marty chose this one because it was still so alive for her. 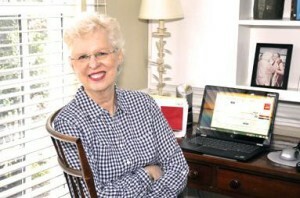 By identifying her values, Marty was able to better understand what was at the core of her being. They made choices about what to commit to now so much more clear. Marty began to recognize that somewhere over the years she had stopped honoring the very qualities that were necessities for her personal fulfillment. 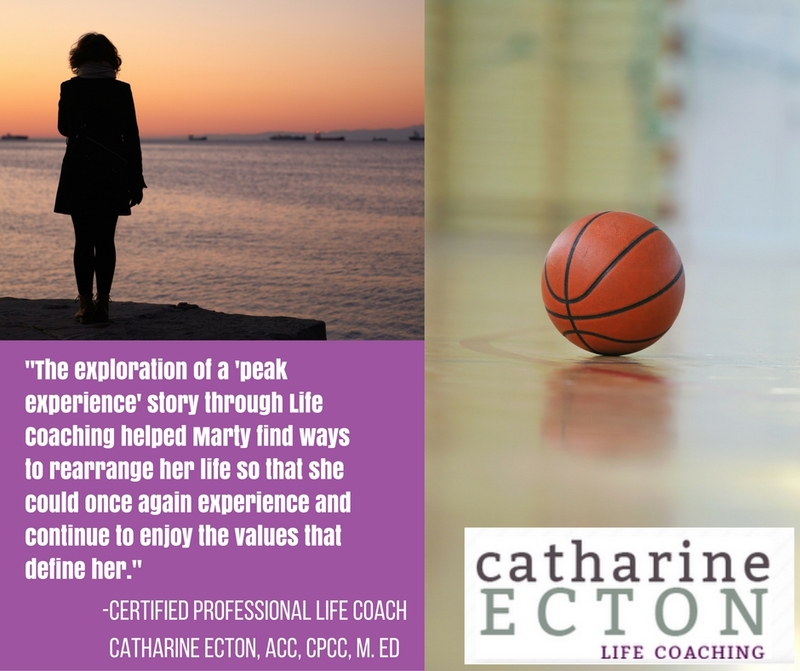 The exploration of a “peak experience” story through Life Coaching helped Marty find ways to rearrange her life so that she could once again experience and continue to enjoy the values that define her. In Life Coaching, I help my clients use peak experiences to help them live “on-purpose” and according to their values. When we conclude our Life Coaching sessions, my clients often tell me that they’ve begun to see themselves differently. Perhaps they do not need others’ approval as much. They definitely feel freer. They begin to see it’s possible to change and find their voice, power, and passion through “unmasking” and getting reacquainted with that self they’ve hidden. Contact me, Life Coach Catharine Ecton, to start living an unmasked, authentic and healthy life in line with your core values. Let’s chart a course to the truth of who you are and discover why being yourself is the ONLY answer. Each Life Coaching session is an hour intensive one-on-one conversation by phone or Skype with me. We’ll meet once or twice per month for three to six months for a total of six sessions. Contact me for a complimentary, no-obligations life coaching consultation to discuss my Life Coaching for Authenticity program. Or use the Appointment Scheduler and pick a time that works for you. I coach 90% of my clients over the phone, and my DC-based Life Coaching clients have the option of meeting with me in person.